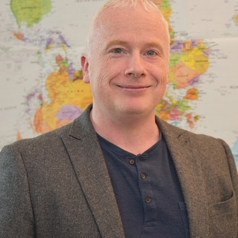 Dr Mark Linden is a lecturer in the School of Nursing and Midwifery at Queen’s University Belfast in Northern Ireland. He holds degrees in psychology and neuropsychology from Queen’s University and The University of London. Mark has worked in the area of brain injury research for 14 years and has published his work at both the national and international levels. His research focuses on the social and cognitive impact of paediatric brain injury on the child, family and the social world. To date these projects have encompassed the social inclusion of children with brain injuries, educators’ perceptions and understanding of brain injury and the development of interventions to support academic attainment. Mark sits on the editorial board of the journal Disability and Rehabilitation and was chair of the 3rd international Paediatric Brain Injury Society conference (September 2018).